Welcome to the fifth and final feature for this year's Christmas Gift Guide. 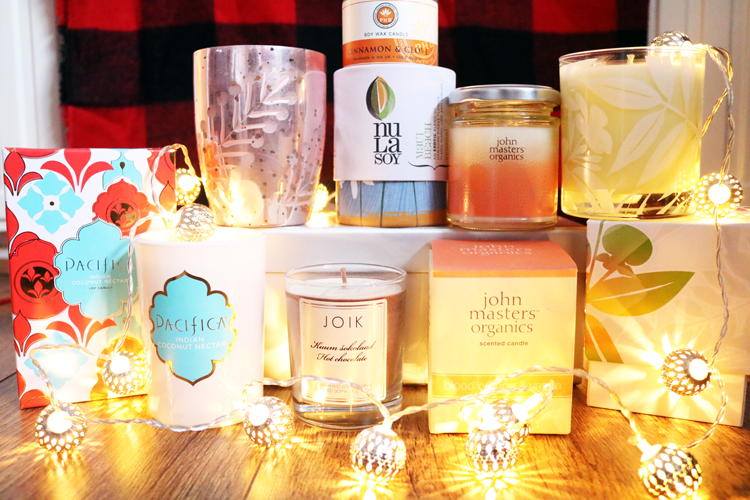 I've saved my personal favourite Edit for last because this one is all about candles! Here are my top picks across a range of different price points. Pacifica are well known for their deliciously scented products, but did you know that they have a range of luxury candles too? I didn't until I spotted this gorgeous one on Love Lula recently. 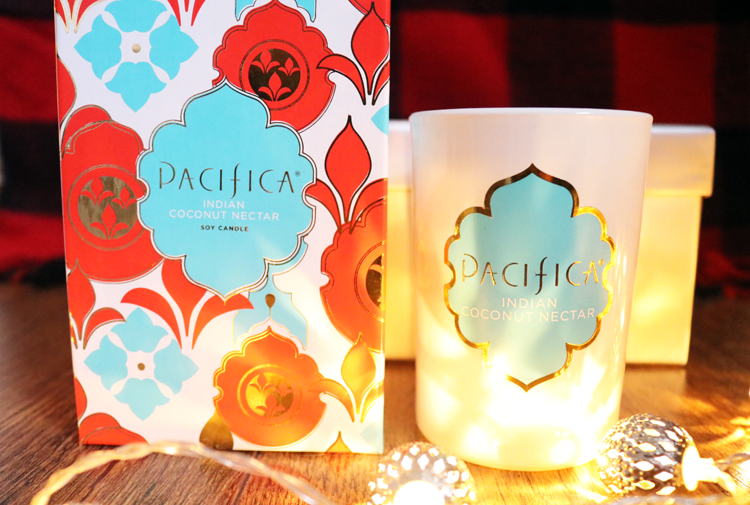 The packaging is beautiful with a bright exotic Indian inspired print and the candle is quite simply a glass jar of sweet coconut goodness blended with warming vanilla. This deluxe candle will burn for a whopping 70 hours, has a lead-free wick, and is hand made from an all-natural composition of soy vegetable wax and essential oils. 100% vegan and cruelty-free too. For a traditional Christmas candle, try something like this Paddywax Candle in Mulberry & Pine. Made from soy wax which is hand poured in the USA, this candle has a sublime fruity berry fragrance mixed with fresh pine and woody notes which provide a welcoming and cosy feel at home. The reusable jar is made from hand blown and etched glass that comes in a range of colours including this Pink metallic copper version. 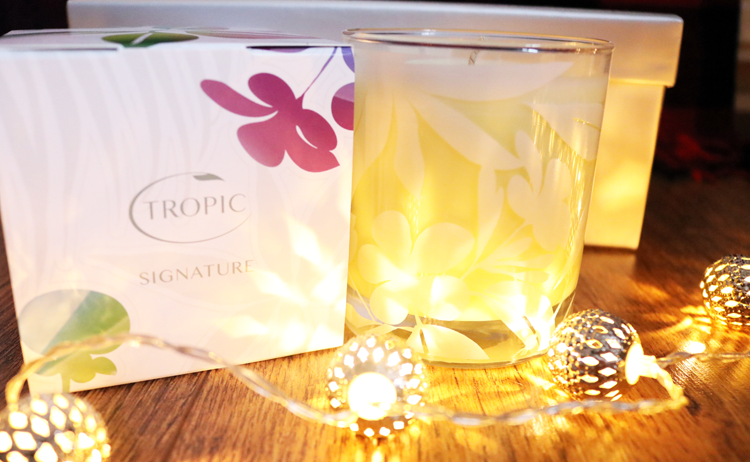 Tropic Skincare's 100% soy wax Signature Candle is perhaps one of the most underrated in the luxury world and an absolute treat for anyone who enjoys deeply uplifting, spa-like, fresh scents. Featuring an exquisite blend of essential oils such as Lemon, Neroli, May Chang and Thyme, this all natural, vegan, cruelty-free candle is pure bliss and will burn for up to 40 hours. The reusable glass container will also look great upcycled as a holder for your makeup brushes or cotton wool pads. 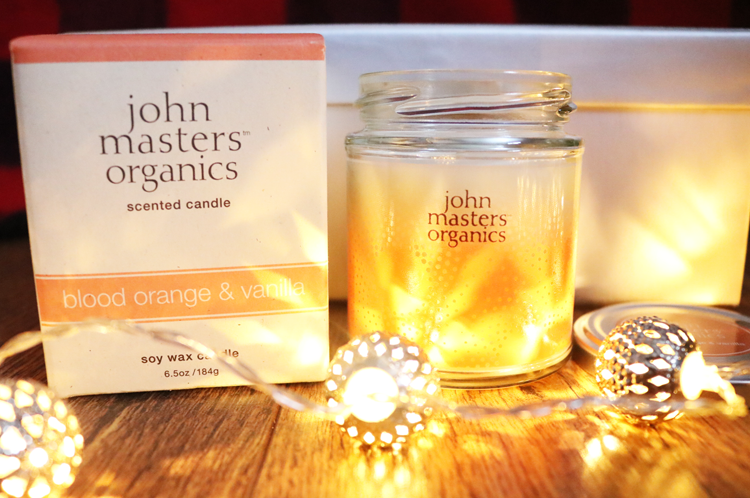 If you've ever had the pleasure of using any products from John Masters Organics which are from their Blood Orange & Vanilla line, you'll know how amazing this scent is so I was thrilled to find it in a candle form! Handmade from GMO-free soy wax and blended with pure organic Blood Orange, Grapefruit and Vanilla essential oils, this candle has the most inviting and relaxing aroma. With over 30 hours of burn time, this is a candle that I'd have in my bathroom to enjoy with a long, rewarding pamper at the end of a busy day. For a smaller candle gift or if you're on a budget, you can't go wrong with PHB Ethical Beauty whose candles pack a real punch in the scent department. 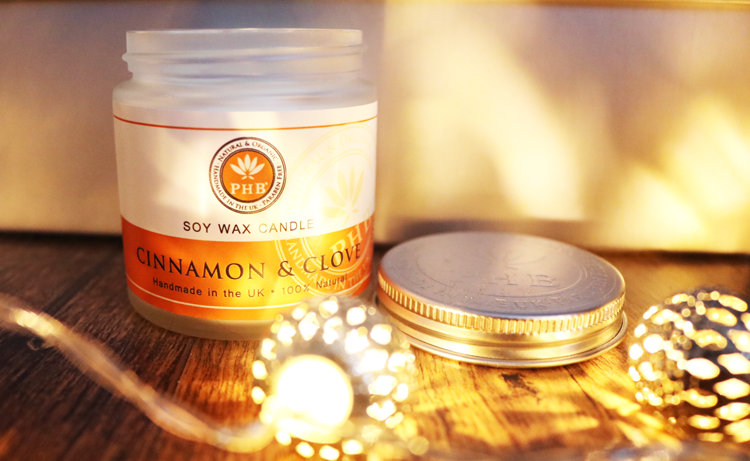 Handmade in the UK from 100% soy wax, they have a good range of candles but my personal favourite is their Cinnamon & Clove one. A warming, cosy and utterly Christmassy blend of Cedarwood, Cinnamon, Clove and Orange essential oils with an impressive scent throw. Burns for 20 hours. 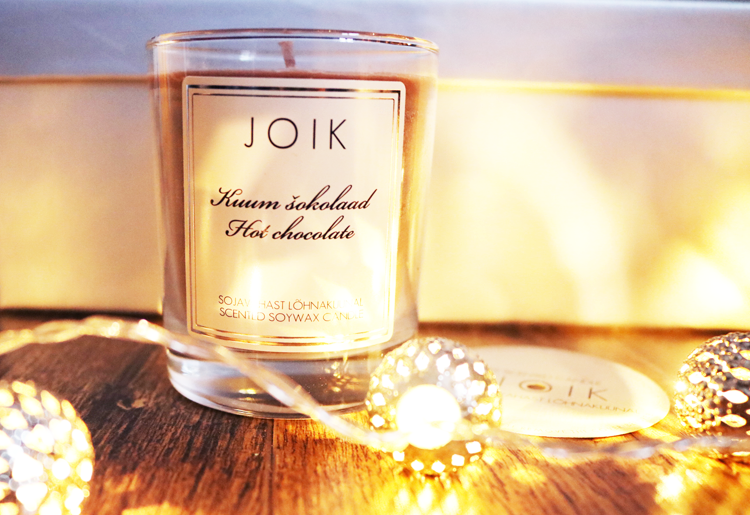 If you're looking for something different to gift your chocoholic friend, you can't beat a Hot Chocolate scented candle! Oh yes, everyone's sweet-toothed prayers have been answered with this guilt-free delight from JOIK. 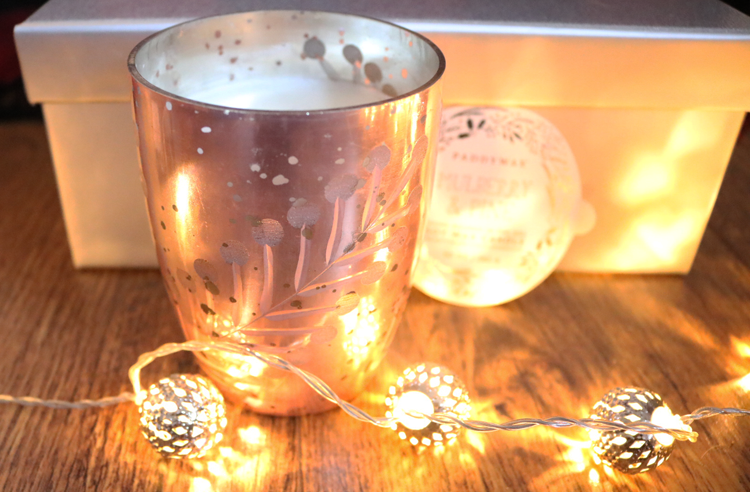 This soy wax candle contains high quality, natural cosmetic grade fragrance oils to create its scrumptious Hot Chocolate aroma and they've managed to do the job perfectly. It smells rich, creamy, sweet and of course, like a hot chocolate. Very reasonably priced and with 30 hours burn time. I have a friend who is currently on a gap year visiting some beautiful islands in far-flung reaches of the world (I'm not jealous at all...), and when she gets back next year, this is the kind of gift that I'd give her. 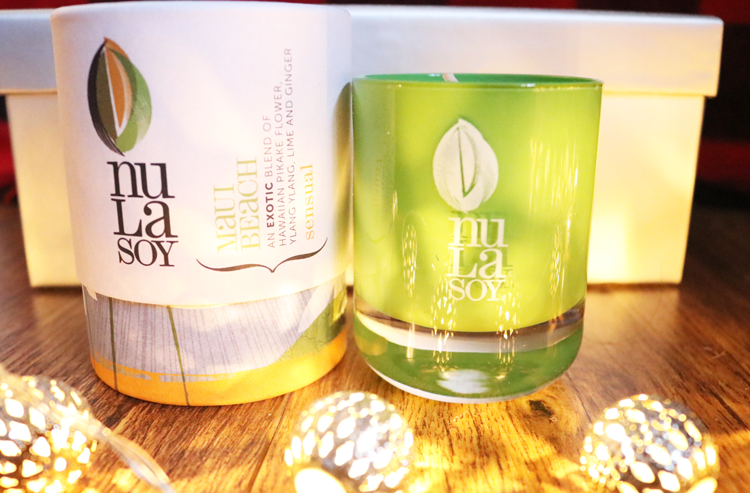 Nula Soy's Aromatherapy Candle in Maui Beach is the candle for anyone who is a hippy at heart and who loves travelling to exotic destinations. It features an interestingly complex blend of Hawaiian Pikake Flower, Ylang Ylang, Lime & Ginger which creates a fragrance that's uplifting, unique, sensual and inviting all at the same time. 100% soy wax with pure organic essential oils, handmade in Cheshire. Around 25 hours burn time. Looking for more Christmas gift inspiration? Check out my Luxury Brands Edit here, the Budget Friendly Edit here, the Green Beauty Edit here and the Fragrances Edit here. I don't know how I missed this beautiful post! These candles look gorgeous! I'm a huge fan of JOIK's Hot Chocolate one and the Nula Soy ones. The Tropic and John Masters ones look lovely.